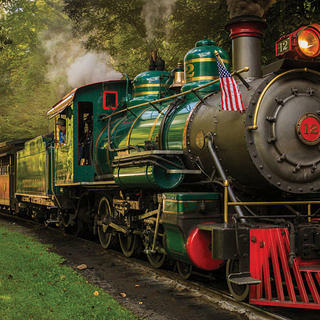 In addition to the theme park, which attracts 250,000 visitors per year, Tweetsie also contains a narrow-gauge steam locomotive shop, which maintains and fixes engines both in-house and for other theme parks such as Disney World and Busch Gardens. This year marks the 100th anniversary of Engine No. 12, and the 60th anniversary of the park. Along with its newer counterpart, Engine 190, the train still makes its three-mile loop an average of 12 times per day. 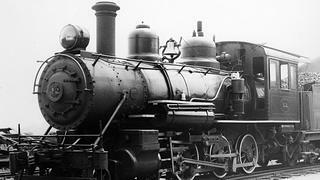 See below for a selection of vintage photos of the National Register-listed engine. 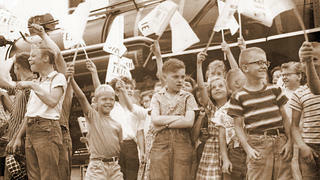 A group of children await Engine No. 12 around time of the park's opening in 1957. Engine No. 12, which is now listed on the National Register of Historic Places. 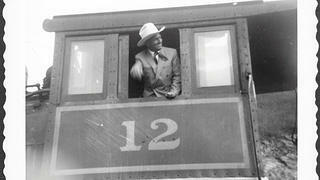 Hollywood star Gene Autry with Engine No. 12, which he briefly owned. 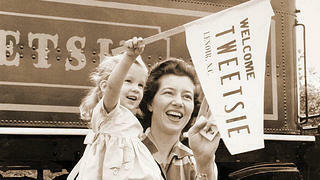 The park has been a popular destination for families since opening 60 years ago.